I live in Chiang Mai, Thailand, one of my favorite cities in Asia. Why? The cost of living is one of the most affordable in Asia. You get great value for your money, there is lots to do, and people are friendly. The pace of life is pleasantly slow, there is great mountain scenery nearby, and the weather is generally quite good. On top of all that Chiang Mai is one of Asia’s major healing arts and holistic hubs. But…..There is one big catch! Every year by around mid-February the air quality takes a nose dive. The agricultural slash and burn season begins, and for the next two months the mountains around Chiang Mai are literally on fire while all the farmers are burning off their fields to prepare them for planting. The result is an ugly haze of smoke that covers not just Chiang Mai but all of northern Thailand. It makes your eyes burn and your lungs hurt. Combined with the intense heat of this time of the year and the usual traffic pollution, it turns an otherwise great city into a place that is very unhealthy and best to be avoided. Once the burning stops and the first rains of the rainy season appear, normally in May, Chiang Mai turns into a great place again. What can I say, it’s my home, my favorite city in Thailand, but in March and April I have to get out of there. This year I went just across the border into Malaysia, to an island called Penang. Malaysia is not such a famous tourist destination like Thailand, but Penang can easily compete with Chiang Mai in most respects. The biggest bonus is that it is an island, there is no burning, and the surrounding ocean makes sure that the air quality is always quite good. How is Malaysia different from Thailand? There are some major differences that I want to point out here. Thailand is primarily a single culture of Thais. 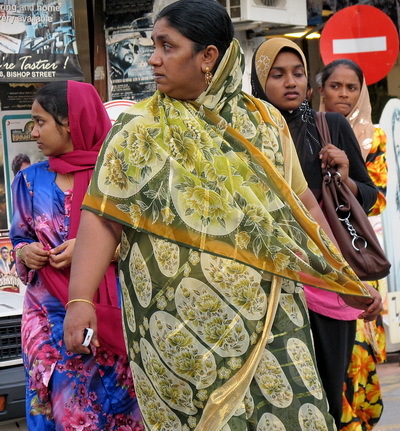 Malaysia is a mix of cultures – there are the Muslim Malays, the Buddhist Chinese, and the Hindu and Muslim Indians. 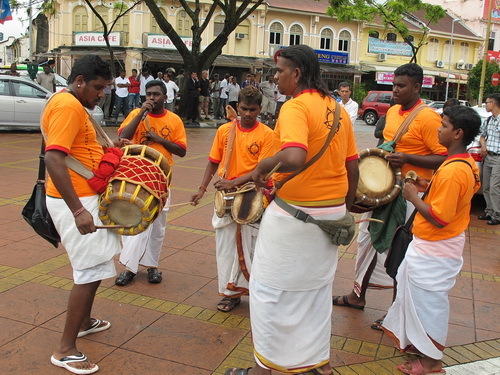 Malaysia had been a British colony which has influenced culture and life style whereas Thailand had never been colonized. Malaysia has a multitude of completely different languages. 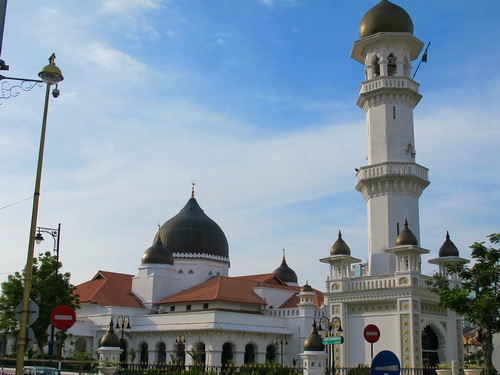 The national language is Malay, but English is compulsory in Malaysia’s educational system and is spoken widely. 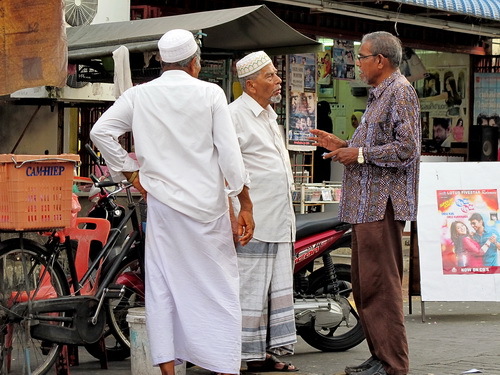 Here in Penang you hardly ever encounter anyone who does not speak at least some English, and many people speak it very well. In contrast, Thailand has one language, Thai, with regional variations. In the major tourist centers you can get by with English, but outside of those centers English is hardly spoken at all. 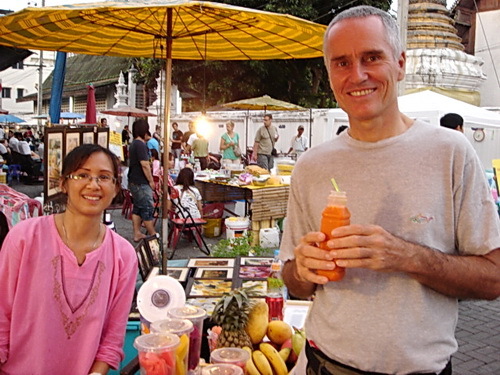 Thailand makes a clear distinction between Thais and foreigners. There is even a word for non-Thais: farang. However in Penang there is such a mix of races, religions and cultures that it is a big melting pot. Nobody sticks out as strange or unusual. You see Muslim men wearing sarongs, Indian women in their colorful saris, Sikhs with big turbans, and Muslim women covered from head to toe. Then, in stark contrast, you see other women wearing tight shorts and tank tops. Part of the mix are the expats and workers from many Asian and western countries. 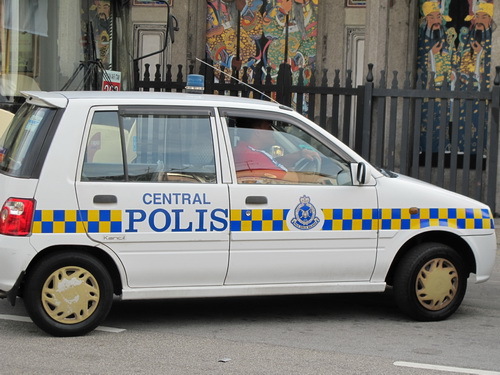 Wherever you go you will hear a smattering of different languages, Chinese Mandarin, Cantonese or Hokkien, Indian Tamil or Hindi, and various dialects of Malay. All of these languages are liberally mixed with English words and sentences. You might hear a Radio announcer speak in Malay, but suddenly there will be some words or sentences in English, all without missing a beat. The national Malay language does not have words for many modern concepts. Therefore they came up with an ingenious idea. They just use the English words, but spell them exactly as they are spoken. If you think about it, the way how English is pronounced has often very little to do with how it is spelled. Look at the letter -A- in the words ‘ball’, ‘carve’ and ‘lap’. Or the letter -U- in ‘bull’ and ‘but’. These are totally different pronunciations for the same vowel which is confusing to say the least. The Malays solved this problem. 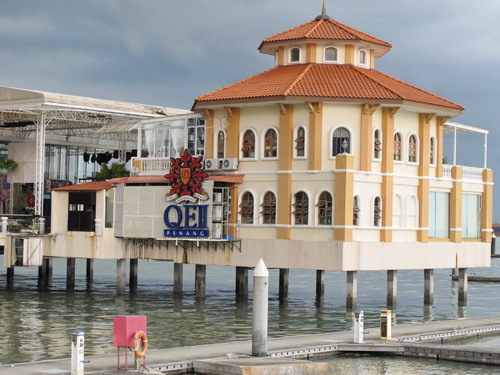 Police becomes Polis, restaurant becomes restoran, motorcycle becomes motosikal, and ferry turns into feri. Everything is written exactly as it sounds. I wish we would adopt this concept for the English language instead of torturing our school children with memorizing all those words that are spelled nothing like they are pronounced. Many Malays have worked in other countries and are quite familiar with other parts of the world. They love striking up conversations with you about all kinds of topics. In typical south-east Asian fashion, life in Malaysia is slow and relaxed, a refreshing difference from western more stressful and hectic cultures. Back to Penang island. 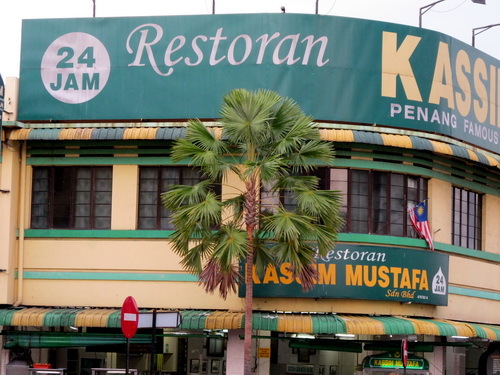 Malaysia used to be a British colony, and it all started here in Penang. There is such a variety of beautiful and impressive architecture that the island’s capital of Georgetown has been declared a national heritage site by UNESCO. There is European influenced architecture, Christian churches, beautiful Muslim mosques, impressive Hindu temples and elaborate Buddhist shrines all mixed with colonial mansions. While the island has a distinctive Asian charm, it is far from a third world environment. There are huge modern malls, an excellent air conditioned public transport bus system, and of course a multitude of restaurants from all over the world that make Penang a true culinary heaven. There are plenty of attractions in Penang aside from the architecture like water sports, mountain hiking, a national park, a spice garden and a botanical garden. People are very friendly and helpful, there is very little crime, and the weather is warm to hot all year round, tempered by a refreshing ocean breeze. So if Penang is so great, why would I want to return to Chiang Mai? There is one big reason. Chiang Mai has a definite edge over Penang when it comes to the availability of massage at some of the most affordable prices in the world. Although there is massage available in Penang, it is either of the vigorous Chinese variety, or imported Thai Massage by Thai women, both at much higher prices than in Thailand. There is something about those leasurely strolls through Chiang Mai’s Sunday market where you can sit down in a recliner right on the sidewalk and get a great one hour foot massage for US $4.- while you relax and watch the world go by. Or getting a two hour full body Thai Massage for $10 to $15 per session. I don’t think any place in the world can beat that. Penang, Malaysia, turned out to be a great choice for my escape from my seasonally polluted hometown of Chiang Mai, Thailand. The two cities are both great choices. Part of the year in Chiang Mai, and a few months in Penang could just be my ticket to a good climate year round and a good dose of fascinating multi-cultural variety in those two neighboring countries. The author, Shama Kern, is a long time resident of Asia. Most of the time he lives in Chiang Mai, Thailand, and part of the year he travels in other southeast Asian countries. Hi 🙂 I have experience form both chiang mai and malaysia. I also loved penang, and especially Little India where you are staying. But i guess chiang mai will always have a bigger part of my heart 🙂 Im not good at following blogs, but i regularly read you emails, and especially those about thaimassage, as i am bringing some chiang-maian healing touches to the Norwegian capital. I appreciate them a lot, thank you so much! Thanks for your comment Mali. I love providing useful and interesting content to my readers, so you just made my day! 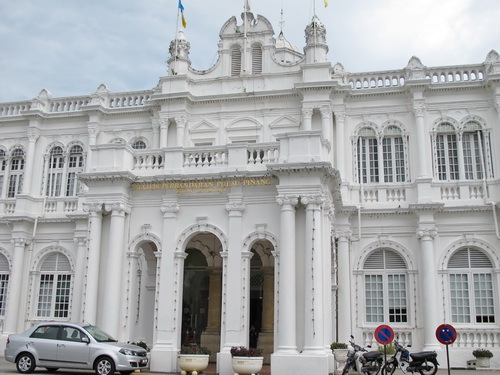 Hi Shama,it sounds like you are having a wonderful time in Penang-Who wouldn’t? I wish we had juice bars and great food vendors here-only at farmer’s markets which are open a few days a week. The only street vendors we have in my area are hotdog carts- not so great when you are a vegetarian..Thanks for your great pics and articles-fun and thought-provoking. Thanks for your comment Manou. 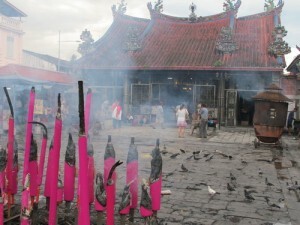 If you love Chiang Mai, you would definitely like Penang as well. I hope you get a chance to check it out. I do read most all of your newsletters because I really enjoy them. I have also taken several of your on-line courses and have gotten a lot out of them.You may remember me, I came to your Heavenly head massage workshop a number of years ago in Saxtons River in Vermont.So, as far as I am considered please keep it going. My big wish is,to someday come to Thailand to experience all that good stuff in person. Thank you for sharing so much wonderful info and experiences. Hi Irene, I do remember you from the workshop in Vermont, and I am glad that you are getting a lot out of my video courses as well. I hope your wish will come true and I will see you one day here in Thailand. Thanks for sharing your impressions about Thailand and Malasia. The places you describe make them very attractive. Hopefully, I will have a chance to visit one of your workshops and combine it with sightseeing of Thailand and maybe Malasia. 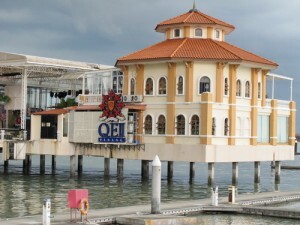 Have a nice time in Penang, it seems to be really a nice place to escape to when Chinag Mai’s air is polluted. In summer time the inhabitants of Moscow also try to escape the city by moving to their summer houses in the countryside. For example, we go to our summer house which is about 100 km away from Moscow every weekend in summer. The air there is so fresh and healing that after several hours of staying at our dacha you start feeling great, although several hours before you were dying from exaustion. Lidia, I remember when I was in Russia, many people told me they had dachas in the countryside. That seems to be much more common in Russia than in any other country that I am familiar with. It seems like a good system, to have a nice place to escape to from the city. The problem with Chiang Mai during March and April is that the smoke covers not just the city, but the entire northern part of Thailand, including Burma, since the burning is so widespread. That’s why I had to go quite far to end up in a totally different climate. But it was a good pick and I am glad I am in Penang, Malaysia. You can get a direct flight from Chiang Mai to Hat Yai with Air Asia. Hat Yai is near the Malaysian border and from there you have easy access to the islands in Thailand or to Malaysia. There are mini buses going to all kinds of destinations. It is true that the prices are often higher on the islands, but you can still find quite affordable places. In Penang for example you can live for close to the same prices as in Chiang Mai. Food is not expensive here, and there is quite a choice of budget accommodation. Thanks for intresting places you took me through. I’m planning a visit to Thiland as a result to enjoy what I have seen in your websites. Also, I’m enjoing your mini course for Thai massage and requested my therapist to learn. Thank you Sawsan, I am glad that my writing helped you to decide on a visit to Thailand. I am sure you will enjoy it.